Col de Port from Tarascon-sur-Ariege (1250m) - One Ride Too Far? After leaving the Port de Bales on Monday afternoon we had threaded our way westwards skirting the northern fringe of the Pyrenees looking for a place to stay. After a busy few weeks and 7 straight days cycling up steep hills we wanted a place to rest up and plan for winter. 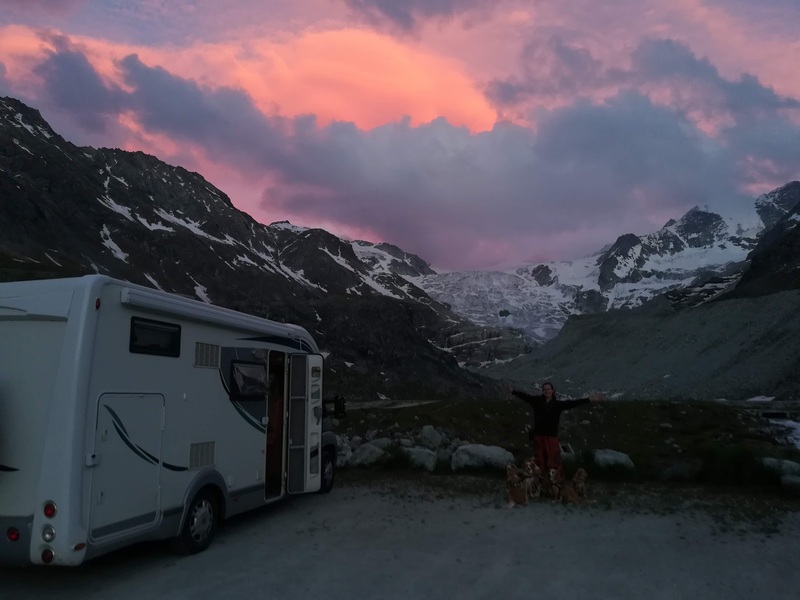 We had found ourselves on the very quiet Camping Le Sedour just outside of the town of Tarascon-sur-Ariege that sits on the main road to connecting Toulouse to Andorra. Rather than rush south we had decided to enjoy the luxury of a camping and make some plans before journeying south to the sunshine. Plus, as luck would have it there were even some cycling climbs nearby should the sun happen to shine. It was our third morning on the camping, Thursday, after lots of rain the previous day that the sun first showed itself. Although it was a weak warmth against the wintery chill we thought it might be fun to stretch our legs and try the ascent to Col de Port which began right outside the camping. At 1250m, climbing just 777m over 17km this should have been the least demanding of our climbs so far and a great chance to get some fresh air. After all this was 'only' a category 2 climb when the Tour de France occasionally passed through (most recently in 2009). The first 8 km were decidedly friendly, climbing just 200m to the town of Saurat where the climb proper began. With a few sections at 10% joined by less severe gradients progress was swift although we had to stay wrapped up against the cold most of the way. It was hard to believe it was just a few days since we had sweated up such gradients in short sleeves. The narrow road stayed in forest until almost right at the top where the view opened on the final switchbacks to reveal the snowdusted slopes dotted around the col.
At the top we could look eastwards to see the shadows of high mountains through the hazy air, the same mountains we had been enjoying in the Autumn heatwave. It looked so different now with winter knocking on the door. But it was still stunning, especially looking south west towards Andorra where the snow topped mountains towered above the nearby foothills. After some deep lungfuls of the bracing air it was time to descend. The weak sun had long since disappeared behind the clouds and the cold was painful even in multiple layers and windproofs. With teeth clenched the motorhome was a very welcome sight, even though our numb fingers struggled to open the door or even click 'ignite' on the gas heater once finally inside. Adventures In Life, Love, Health & Travel: Col de Port from Tarascon-sur-Ariege (1250m) - One Ride Too Far?